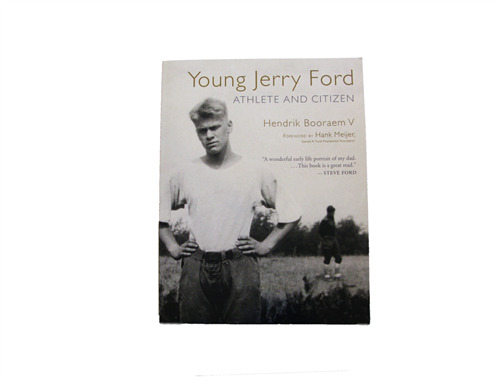 In this biography Hendrik Booraem V. traces the early life of Gerald Ford in Grand Rapids, Michigan, to his high school graduation in 1931, showing how he developed the outlook and ideals that he brought to the White House. Ford's childhood offers telling glimpses of family and school, sports and recreation, and Western Michigan life in the Jazz Age and the Depression. Amply illustrated with photos from the 1920s and '30s, Young Jerry Ford shows the 38th President of the United States in a new and colorful light.